Resin Seeds cannabis seed bank has been a key player in Spain’s marijuana growing scene since 1997, when they opened one of the country’s first cannabis grow shops in Barcelona. 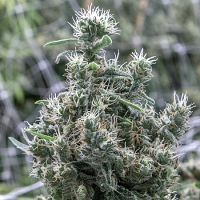 Since then, this forward-thinking cannabis seed bank has become an integral part of the industry, participating in a wide range of marijuana grow shop projects and speaking at countless cannabis grow seminars. 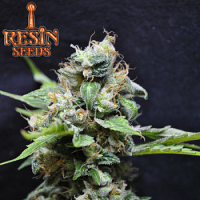 Focussing on quality and performance, Resin Cannabis Seeds offer some of the most potent and exclusive skunk seeds on the market. This marijuana seed bank is fast becoming a firm favourite amongst botanical specimen collectors across the globe. Here at Sensible Seeds, we source and supply over 3000 different cannabis strains from the world’s leading weed seed banks. 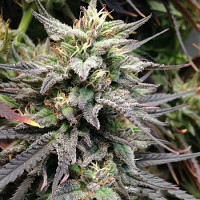 Our extensive collection includes a wide range of marijuana seeds from the Resin Seeds seed bank, such as Resin Seeds Bubblicious Feminised, Resin Seeds Critical Haze Regular, Resin Seeds L.A Ultra Feminised, Resin Seeds Yummy Regular, Resin Seeds Sour P Feminised, Resin Seeds Hammershark Feminised, and Resin Seeds Dieseltonic Feminised. If you’re looking to buy cheap marijuana seeds or for more information about our range of Resin Seeds cannabis seeds, or any of our other seed banks, please do not hesitate to contact us. We’re always happy to help!